Last November, a special Armistice Day presentation on the outdoor screen at Twin Towns brought to life the faces of men and women who had served, or were still serving, in the Australian Defence Force or Allied Forces. Many letters and emails were received from people who were thrilled to see their photos and some travelled hundreds of kilometres see them. In honour of ANZAC Day this year, the same presentation will run each evening from Monday 22 April to Sunday 28 April. On those evenings it can be see at 6.15pm, 7.15pm, 8.15pm & 9.15pm alternating the two different displays that were created. The faces will also light up the building, along with ANZAC Day footage, for the Dawn Service from 5am to 7.20am. The light show is a memorable experience for everyone who respects and admires the contributions made by so many great Australians. 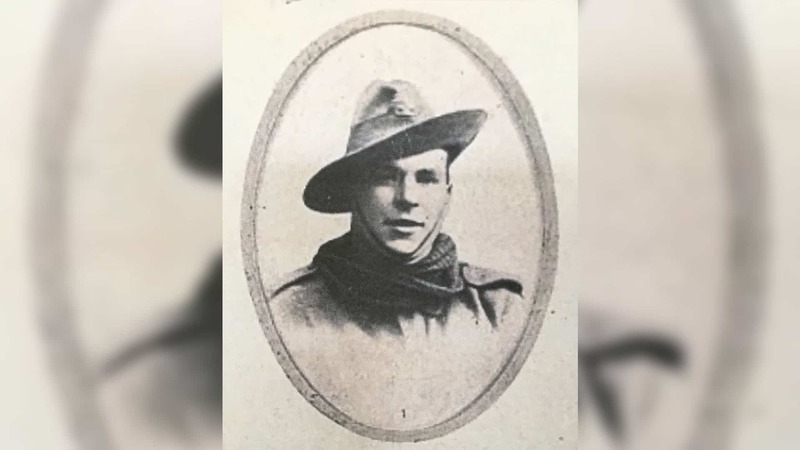 One of the faces you’ll see is Edward (Ted) Tardent, a young Corporal from Roma Queensland who enlisted at the age of 16 years by falsifying his records to say he was 18. I take this opportunity to write you what may be my last loving words. We are being launched into a large offensive, and if I do not happen to pull through, a pal of mine shall send you this letter. Should I not survive, I shall die knowing that I have done my duty, both to my King and country. Mind you, I am not a bit afraid to die, for I have faced death too many times to be afraid of it. The Tardents are made of good, solid stuff, and I can live or die just as the bravest of the bravest. I am in extremely good health and, thanks to you, my dear parents, have always been the same. Now, goodbye, loved ones, and remember, should I die, I died bravely.